Chris Horridge provides a fresh and inspiring take on potage. 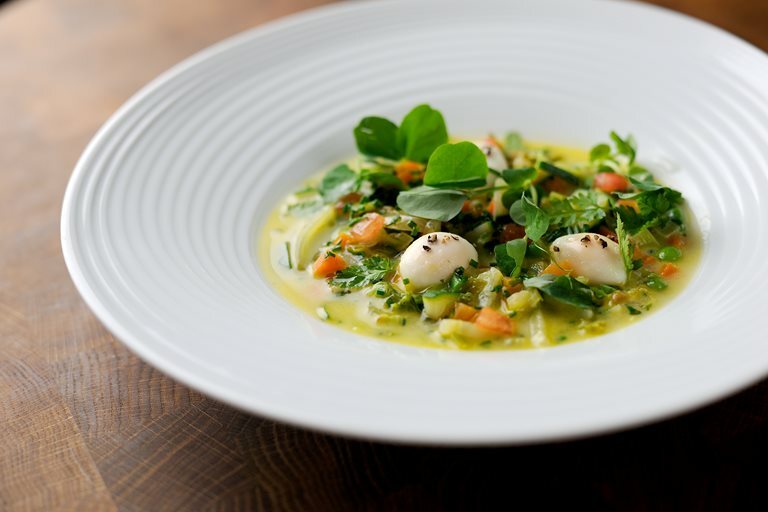 This pleasing vegetable stew recipe is full of a fine medley of vegetables including courgettes and broccoli, with a lightly poached duck egg as a centrepiece. This light yet flavourful vegetarian stew would go well with a buttered baguette.